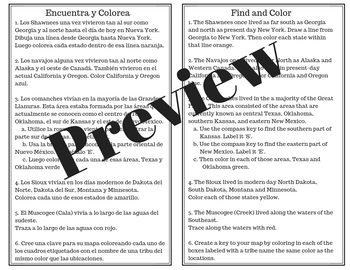 This mapping activity can be used to support instruction on Native American tribes whether as a whole class activity or as a supplemental activity in centers. 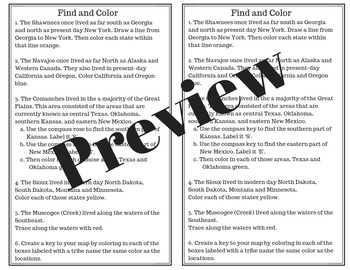 Students are given directions with the locations of different tribes and are to color certain areas/ states accordingly. 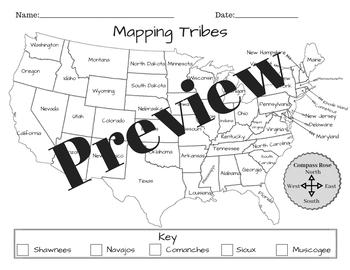 The tribes included in this map are Navajo, Shawnee, Muscogee (Creek), Comanches and Sioux.